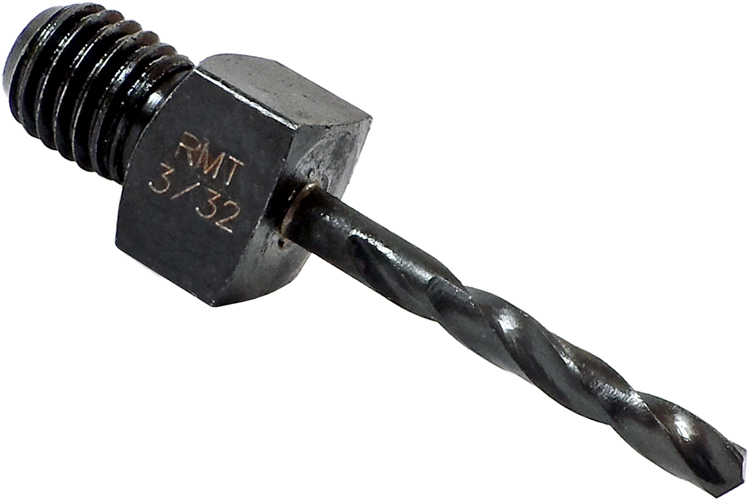 OMEGA Short Length Cobalt Threaded Shank Adapter Drills are designed to NAS965-B specs. OMEGA Threaded Shank Adapter Drills are widely used in the aerospace industry and facilitate access to space-restricted areas unsuited for standard chuck-type drills. OMEGA Threaded Shank Adapter Drills are designed to be used with a host of angle-drills and offset drills and feature 135° split points. OMEGA Cobalt, Short Length Threaded Shank Adapter Drills, NAS965-D. Size: 1/4"
OMEGA Cobalt, Short Length 1/4-28 Threaded Shank Adapter Drills, NAS965-D. Size: 9/32"
OMEGA Cobalt, Short Length 1/4-28 Threaded Shank Adapter Drills, NAS965-D. Size: 5/16"
OMEGA Cobalt, Short Length 1/4-28 Threaded Shank Adapter Drills, NAS965-D. Size: 3/8"
The OMEGA 1664COSH 1/4'' Short Length Cobalt Threaded Shank Adapter Drills is one of thousands of quality tooling products available from MRO Tools. Please browse Cobalt, Short Length Threaded Shank Adapter Drills, NAS965-D for tools similar to the OMEGA 1664COSH 1/4'' Short Length Cobalt Threaded Shank Adapter Drills. OMEGA 1664COSH 1/4'' Short Length Cobalt Threaded Shank Adapter Drills description summary: OMEGA Cobalt, Short Length Threaded Shank Adapter Drills, NAS965-D. Size: 1/4" Quantity discounts may be available for the OMEGA 1664COSH 1/4'' Short Length Cobalt Threaded Shank Adapter Drills. Please contact MRO Tools for details.